After a long fought advocacy battle, Ohio now joins 27 other states to enact a 3 Foot Passing Law to help protect cyclists. The new law officially goes into effect on March 21st of this year. A measure of this nature is not only important to protect riders, but it serves as a very prominent message to build awareness for drivers, and makes local ordinances already on the books in Cleveland, Columbus, Bay Village, Cincinnati, and other Ohio municipalities uniform with state law. 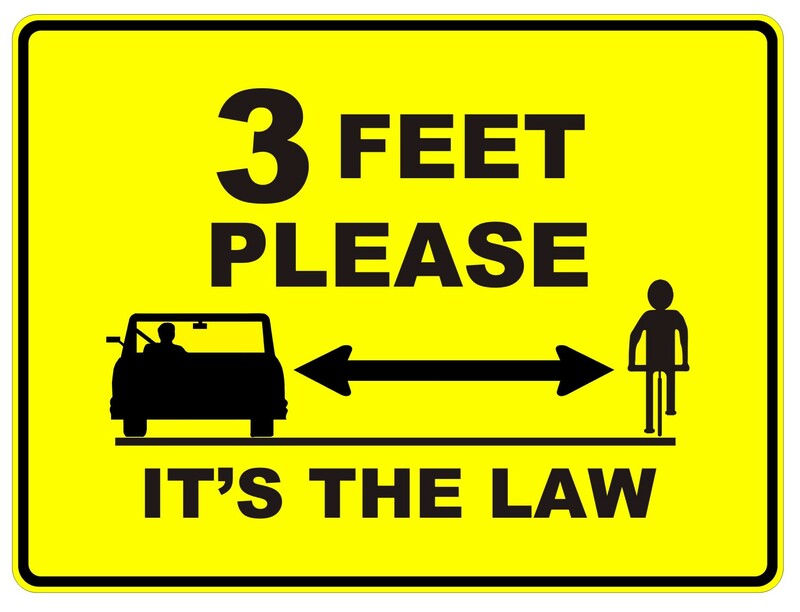 Many motorists are simply unaware or unsure of the space requirements people on bikes need to operate safely, and this law will help them understand what is expected of them on the roadway. Several police departments across the country have already successfully enforced their 3-foot passing laws, and the equipment already exists for Police officers to empirically measure passing distances. Bike Cleveland has plans to outfit the Cleveland Police Department’s bike patrol with once such device to aid in their enforcement efforts. These are both important changes for cyclists, and we thank you for your help in putting the pressure on lawmakers to bring it to the front. We would also like to thank Shawn Kasych, the Policy Director for House Speaker Rosenberger for helping get this brought to a vote in time for the last session. And as is so often the case, this was a collaborative effort statewide with our partners from the Ohio Bicycle Federation. Bike Miami Valley in Dayton, & Yay Bikes! in Columbus, and a collective victory for all people on bikes in Ohio.